Modhumoti Bank Limited (MBL) New Job Circular 2018 has published by the authority. Modhumoti Bank Limited has published job circular on 01 categorizes post. It’s a lucrative job circular and it’s great chance to get job for employment people. This job is perfect to build up a good career. Those,who want to work,they should be taken out of this opportunity. 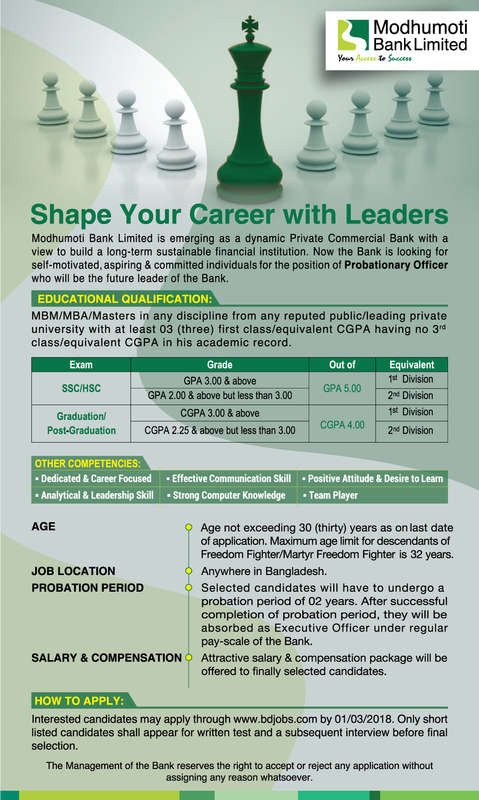 Modhumoti Bank Limited is a renowned private bank in Bangladesh.